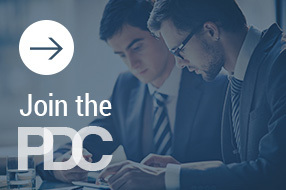 Are you interested in connecting with the top professionals in the legal professional development industry? Each year, members of the PDC gather for several days of networking, educational sessions, and collaborative opportunities. An this annual meeting in Washington, DC PDC members gather at this meeting for a day of educational sessions and networking. The PDC is proud to partner with corporate sponsors interested in investing in the ongoing development of the PDC’s programs and mission.